This year’s Women in Cybersecurity (WiCyS) Conference was bigger and better attended than ever before, much like the cybersecurity industry at large. In celebration of the Georgia Tech College of Computing’s role at the forefront of this booming field, the College took the lead in sending, for the first time, students on scholarship to attend the conference, as well as hosting a celebration for online Master of Science in Computer Science (OMSCS) students from the Chicago-area. 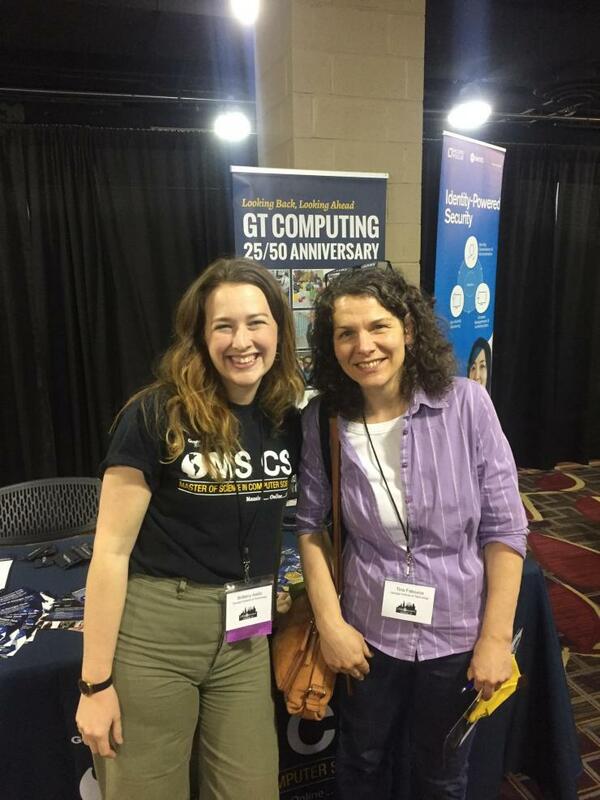 Held in Chicago from March 23-24, WiCyS drew some 4,000 attendees and more than 50 sponsors--both corporate and academic--including the College of Computing. The four student scholar representatives sent by the College were Tina Fatouros (OMSCS), Jenna McGrath (Ph.D. Public Policy), Stacey Truex (Ph.D. Computer Science), and Chenzi Wang (OMSCS). Attendees had the opportunity to enjoy meals and network with other women in the field of cybersecurity, attend technical and career-focused talks like “Practical Network Forensics,” “Teaching Cyber Ethics and Societal Impacts in Introduction Computing Courses,” and “Watson for Cybersecurity and IBM’s Cyber Range,” and also take advantage of the conference’s Career Fair, at which the College hosted a recruitment booth. 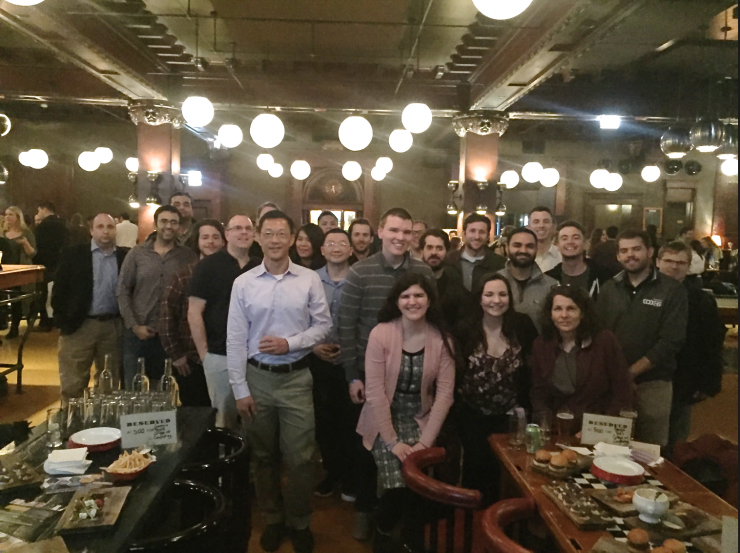 While in Chicago, the College of Computing and Wenke Lee, co-executive director of the Institute for Information Security & Privacy (IISP), hosted a celebration for local OMSCS students and College alumni. 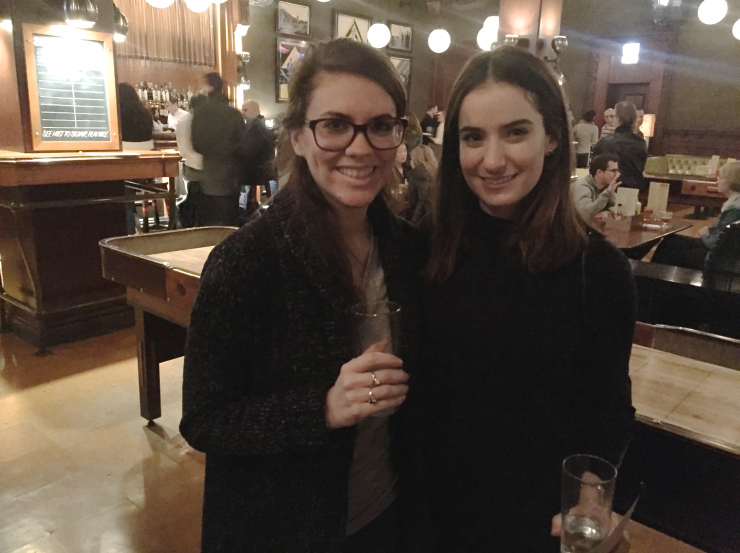 The event was held at the Chicago Athletic Association Hotel, and the 35 attendees enjoyed an evening of celebration with their fellow students -- many of whom met in person for the first time. Lee shared news of all of the exciting cybersecurity research success at Georgia Tech, as well as tips and tricks on how to succeed in the OMSCS program (in which he teaches Introduction to Information Security). If you are interested in learning more about the online Master of Science in Computer Science (OMSCS) program, visit http://www.omscs.gatech.edu/.